The Baluchis are a nomadic ethnic group divided among Iran, Pakistan and Afghanistan. Sometimes Baluchis can also be found in other countries, but in significantly smaller numbers. Most of them live in Pakistan today. Their carpets are usually small in size. The classic colours are accentuated by vivid patterns. Traditionally, the carpets of the Baluchis were made of sheep and goat wool from own herds. Modern carpets have a cotton warp. 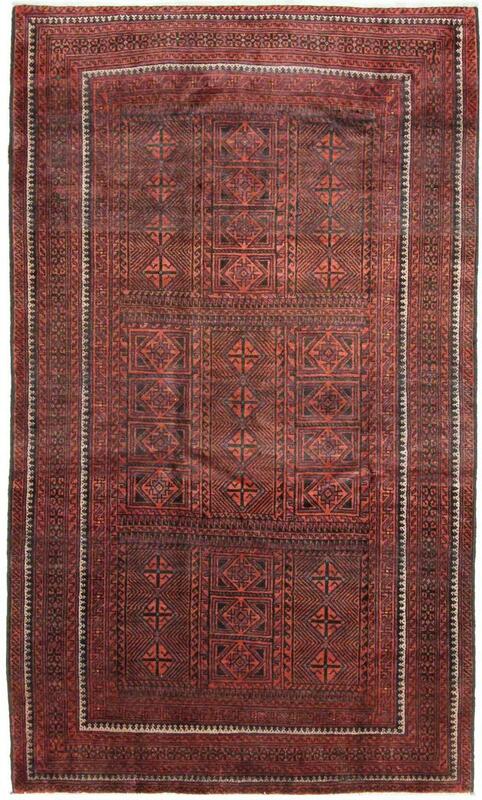 Like all carpets made by nomads, Baluch carpets are simple and robust. These nomadic carpets are also named after the cities in which they are sold: Mesched-Belutsch carpets are sold in Mesched. 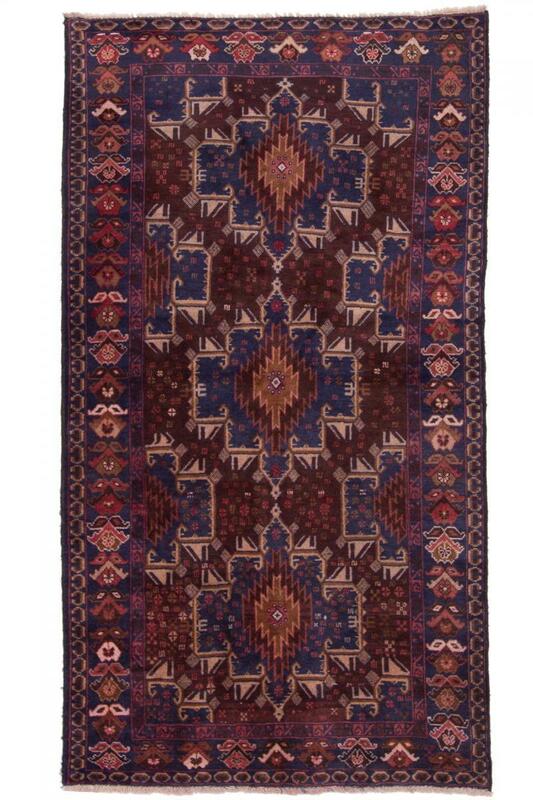 These rugs have been provided from an assortment of over 330 Baluch rugs by Nain Trading from Hamburg. Hamburg, Germany is still the most important hub for the trade of oriental rugs in the Western World with Nain Trading offering one of the largest assortments of handmade oriental carpets worldwide. Location - where are Baluch rugs coming from? The Baluch live in the border area and include different nomadic tribes.